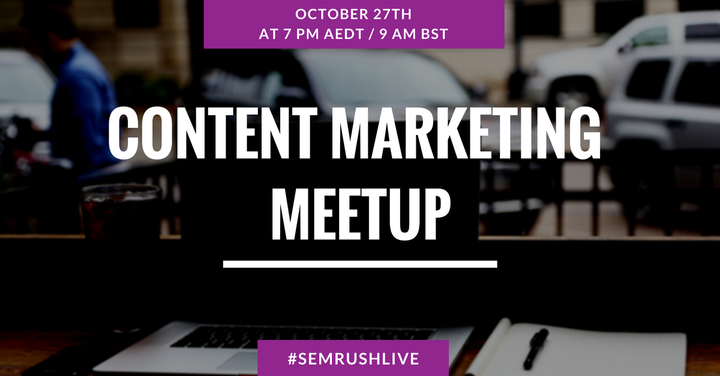 Tune in for our latest Content Marketing Meetup with seasoned digital marketing experts for fresh ideas on how to build a consistent content marketing approach! Doyle Buehler. Authority Content. Doyle will explain how to establish content authority that will set you apart from competitors and will help drive your overall ranking. Laura Crimmons. Finding the value of Digital PR beyond the links. In this session, Laura will tell us why Digital PR is not just about links and should not be measured by this one isolated metric. She will shed light on why the components of Reputation, Expertise, Authoritativeness, and Trustworthiness must be part of the strategy for successful digital PR campaigns. Michael Brenner. The Content Formula - 10 Steps To Content Marketing ROI. Michael will share insights on how to find the budget to establish a new content marketing program and how to then measure its success in business terms. On top of that, you will discover 10 actual calculations any business can use to show real content marketing ROI. Don't miss your chance to learn from the top content marketing pros and the opportunity to ask questions live!